It’s been six years since the official launch of IPv6 on “World IPv6” day in 2012, but the newest version of the Internet Protocol still doesn’t account for the majority of online traffic, according to the Internet Society. IPv6, the modern version of the Internet Protocol framework that underlies just about everything on the network, is seeing steady uptake among service providers, but still hasn’t pushed its predecessor, IPv4, into obsolescence, according to a report released today by the Internet Society. There are 24 countries in the world where IPv6 totals more than 15% of overall IP traffic, and 49 that have topped the 5% threshold. Yet the Internet Society – a non-profit that works to promulgate internet standards and lobby for open access to the internet – describes the technology as having moved from the “early adoption” development stage to the “early majority” phase. Part of the reasoning behind the group’s sunny characterization of the state of IPv6 is the nature of the growth in the standard’s use. Some of the most important carriers in the world – including the US big four mobile carriers, Comcast, and India-based Reliance JIO, with its 237 million subscribers – already use IPv6 for the lion’s share of their Internet traffic. As IPv6-only networks can dramatically simplify network operations and keep costs down, there is reason to believe the trend will continue. 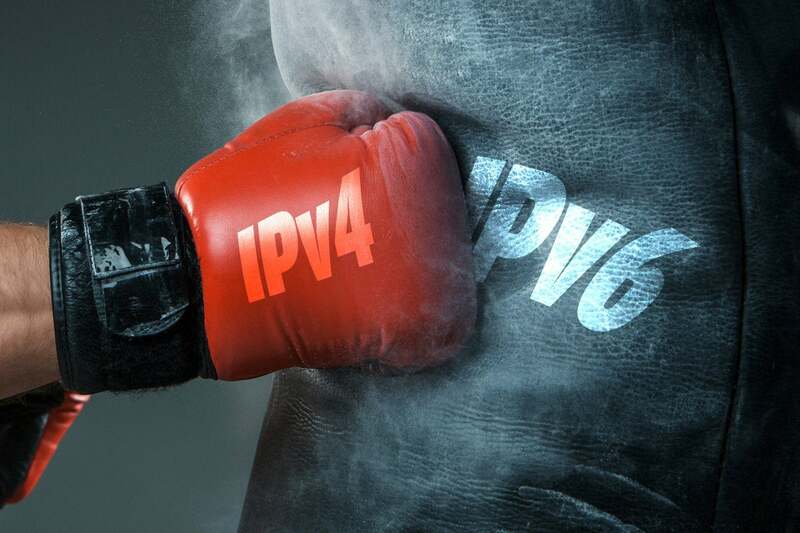 Are legacy applications holding back IPv6? ISOC noted that one of the major challenges to IPv6 deployment is the enterprise market. Thanks to legacy applications that might not be architected to run on IPv6, many enterprise users still need IPv4 connectivity. But that also makes for what the group calls “an interesting business opportunity” – given that Microsoft purchased 666,000 IPv4 addresses in 2011 for a hefty $11.25 each, companies that get a jump on IPv6 adoption can take advantage of the market for IPv4 addresses before values start to decline, which the group estimates will happen in 2019. And overall, growth has continued. Of the 1,000 most popular websites, per Alexa, 28% are working with IPv6, a 5 percentage point increase over last year’s numbers. That figure also rose by 4 percentage points for the top million Alexa sites, from 13% to 17%. The outlook for IPv6 adoption is not uniformly rosy, however. A draft proposal from the International Telecommunications Union to move the internet in general toward IPv6 has been heavily criticized for not doing enough to reduce the reliance on IPv4, and being unlikely to result in meaningful reforms.